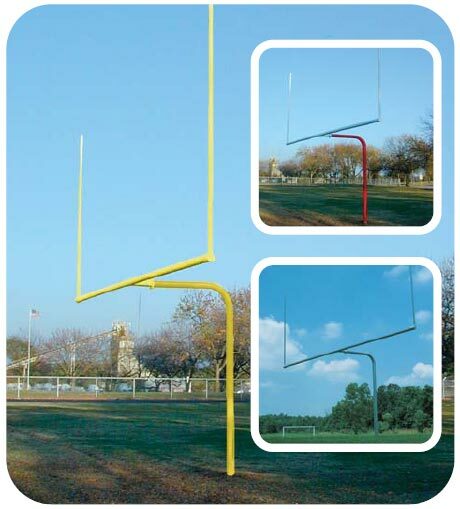 Specify 23' 4" or 18' 6" Cross bar; single bent 4 1/2" OD galvanized steel support with 5' extension; 3 1/2" OD galvanized steel crossbar; 1 /7/8" OD galvanized steel uprights; uprights extend 10' or 20' above crossbar, depending on model. 3.5" OD galvanized steel support posts and crossbar; 1 7/8" OD galvanized steel uprights; specify 23' 4" or 18' 6" crossbar. 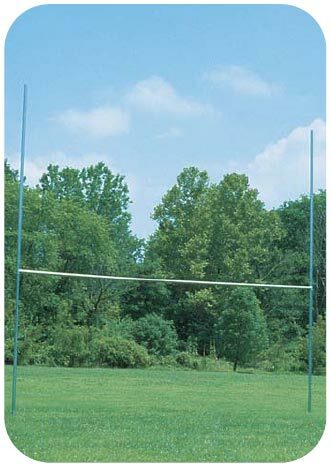 2 3/8" OD galvanized steel support posts and crossbar; 2 /38" OD galvanized steel uprights; specify 23' 4" or 18' 6" crossbar. 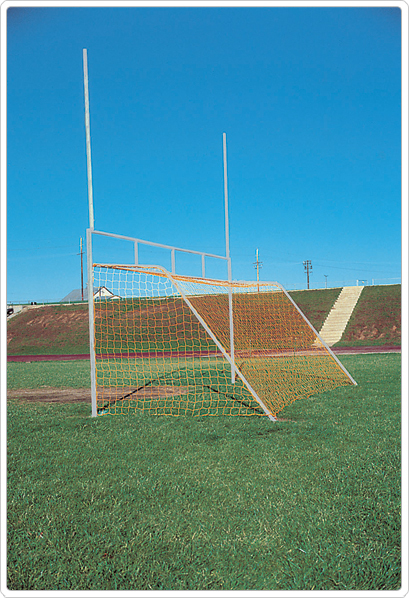 Specify 23' 4" or 18' 6" Cross bar; 2 7/8" OD main frame; bottom opening is 8' x 24'; 2 3/8" OD uprights; 1 7/8" OD crossbars, 1 7/8" OD Net Supports; Net attachments are welded to lower frame; soccer net not included.